Deborah Andrus is the second clarinetist with the Allentown Symphony Orchestra, and is a member of SATORI, the Southeastern Trio and the East Winds Quintet. Before moving to Pennsylvania, she held the principal clarinet position with the Natchez Opera Festival Orchestra for three years. She has performed with many groups in the United States, including the Louisiana Philharmonic, the Baton Rouge Symphony, the Mississippi Symphony, the Central Ohio Symphony, the New Columbian Brass Band and the Fort Wayne Philharmonic. Dr. Andrus was the featured soloist for two summers with the Ringgold Band in Reading, Pennsylvania and performed as guest soloist with the New Orleans Civic Symphony. More recent performances of new clarinet works have taken Dr. Andrus to several locations in the US. She was invited to perform at the International Clarinet Association conference in Atlanta, GA in August 2006, performing Matthew Quayle’s Trio for clarinet, viola and piano, a work she commissioned in 2004 for the Southeastern Trio. She also performed the piece in New York City in March 2007 in a retrospective of Matthew Quayle’s music. Dr. Andrus performed another commission at the 1st Potsdam Single-Reed Summit in October 2006 – Patrick Long’s De Profundis for clarinet and DVD. In April 2007, Dr. Andrus performed and recorded Scott McAllister’s X Concerto with the Lehigh University Wind Ensemble. 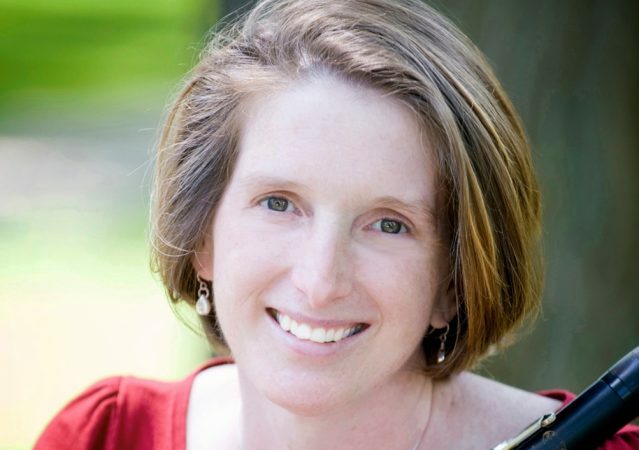 Dr. Andrus is the Artist-Lecturer in Clarinet at Moravian College, Susquehanna University and Lehigh University, where she teaches clarinet and directs the clarinet ensembles. In the fall of 2007, she will begin teaching clarinet at Lafayette College. Formerly, she was Professor of Clarinet at Delta State University in Cleveland, Mississippi and at Southeastern Louisiana University in Hammond, Louisiana. She earned her doctorate in 1998 as a Presidential Fellow at The Ohio State University. Originally from New York State, Dr. Andrus received her Bachelor of Music from The Crane School at SUNY Potsdam, and the Master of Music from Michigan State University. Her teachers include Alan Woy, James Pyne, Theodore Oien, Elsa Ludewig-Verdehr and Mark Nuccio. During the summer, she teaches and performs at the New England Music Camp in Sidney, Maine.Dr. Andrus is an Artist-Clinician for the Buffet-Crampon Corporation, and plays Buffet R-13 clarinets.